This jacket by Ralph Lauren is de bomb. Gorgeous. I can hear my credit card screaming now. 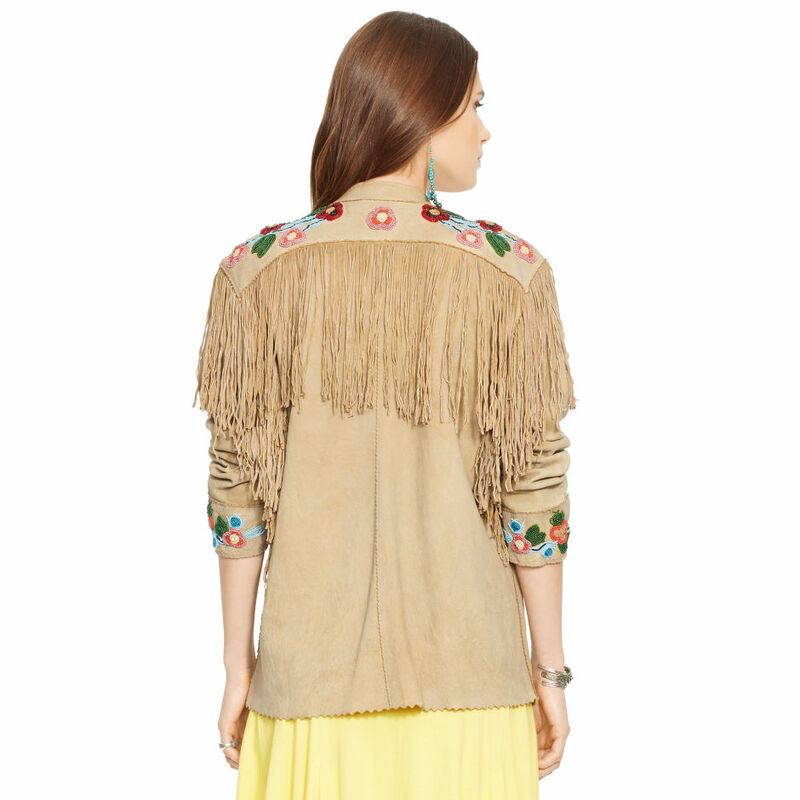 Fringe and the ’70s look are intertwined. The denim and fringe do go hand in hand. But make it what you want. A fringe handbag would be fantastic for off duty and a bit of fun. The denim thing is very ’70s too. From flare to a bootleg jean just have fun with it. My tip would be to make a mood board. What are your favourite pieces and what would you like to splurge on? My beauty tip would be to dump black eyeshadow. So not ’70s. Vintage, denim and the basics need to look good together. Tan leather was in but stick with the classics with black. Only buy black if it is a classic and is your style. Don’t buy anything because it is cheap.